Valentine’s Day is the time of year that is set aside for love. Showing your loved one just how much you love him or her is at the top of everyone’s list during the month of February. Mansouri Family Dental has a special gift you might consider giving yourself or your loved one during this month of love. If you have a loved one with teeth missing it may be necessary to rebuild their entire smile. This type of restoration is known as full mouth reconstruction. This type of mouth reconstruction involves a series of carefully executed dental procedures that are designed to restore a patient’s mouth both functionally and cosmetically. If you give your loved one a full mouth reconstruction you’re not only giving them amazing aesthetic benefits of an amazing smile. The satisfaction of a beautiful smile and complete landscape of teeth restores confidence and self-esteem as well. A full mouth restoration can also help solve compromised natural facial contours that your teeth usually provide. With a full mouth of teeth, it can help eliminate the risk of infections in the mouth that are connected with extensive tooth damage. They also help you restore chewing function that is not possible with missing teeth. Mansouri Family Dental Care & Associates offers you personalized dentistry for a better smile. Our family dental practice in Marietta will evaluate your oral situation. You can trust that we will do everything we can to make your full mouth reconstruction a comfortable and rewarding experience. 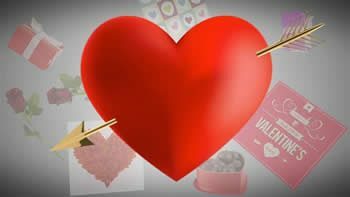 Show yourself or your loved one some love for Valentine’s Day and come and see us.